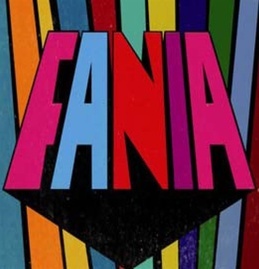 Fania Records was a New York based record label founded by Dominican-born composer and bandleader Johnny Pacheco and Italian-American lawyer Jerry Masucci in 1964. The label took its name from an old Cuban song by the singer Reinaldo Bolaño. Fania is known for its promotion of what has become known as Salsa music. The label started out as a small venture, but gained popularity after the success of its first official record, Pacheco's "Cañonazo", leading to the expansion of its talent base. Among Fania's signature stars are: Willie Colón, Celia Cruz, Larry Harlow, Ray Barretto, Ralfi Pagán, Luis "Perico" Ortiz, Bobby Valentín, Rubén Blades, Héctor Lavoe and Cheo Feliciano. Other stellar individuals who played a role in the trajectory of Fania Records and its future holdings include Johnny Pacheco, Tito Puente, Mongo Santamaría, Eddie Palmieri, Roberto Roena, Joe Bataan, Ricardo Ray, Louie Ramírez, Nicky Marrero, Papo Lucca, Yomo Toro, Pupi Legarreta, Johnny Rodríguez, Barry Rogers, Orestes Vilató, Víctor Paz, Luis García, Ismael Rivera, Justo Betancourt, Bobby Cruz, Santos Colón, Ismael Miranda, Ismael Quintana, Rubén Blades, Pete “El Conde” Rodríguez, Adalberto Santiago, Chivirico Dávila, Monguito, Andy Montañez, Luigi Texidor, Héctor Casanova, Junior González, Jimmy Sabater, Cali Alemán, Juancito Torres, Reynaldo Jorge, Ray Maldonado, Bomberito Zarzuela, Lewis Kahn, Sal Cuevas, Eddie Montalvo, Nelson González, Oscar D’León, Leopoldo Pineda, Puchi Boulong, Domingo Quiñones, Wilfrido Vargas, Papo Vázquez, Alfredo De La Fe, Elías Lopés, Ed Byrne, Roberto Rodríguez, Larry Spencer, Lew Soloff, Jimmy Bosch, Isidro Infante, Ite Jerez, Jerry Medina, Tito Allen, Tito Nieves, Néstor Sánchez, Ray De La Paz, Aníbal Vázquez, Tite Curet Alonso and others. The second album released under the Fania imprint was Larry Harlow's 1965 album, Heavy Smoking. The record's modern take on traditional Afro-Caribbean music served as the template for what soon would come to be known as the Fania Sound. In 1968, Pacheco created a super-group known as the Fania All-Stars that brought together the elite of Salsa musicians and singers for joint performances and recordings. The Fania All-Stars were Fania's best selling band, outlasting the label itself. They made their debut at the Red Garter club located in New York's Greenwich Village, but it was their 1971 performance at the Cheetah, a club in Midtown Manhattan, which became legendary. Larry Harlow was chosen by Jerry Masucci to produce the band's records while Pacheco acted as director on stage. The Fania All-Stars were filmed for the documentary "Our Latin Thing" released a year later. Leon Gast, the Academy Award winning director of When We Were Kings filmed the Fania All-Stars for the documentary "Our Latin Thing" released in 1972. Masucci would eventually become sole owner of Fania Records and the numerous other labels and umbrella labels that he acquired and/or created; such as Alegre, Tico, Vaya, Cotique, Inca, Mardi Gras and others. In September 2005, Fania's assets were sold to Miami-based label Emusica, and by early 2006, the new owners began to reissue material from Fania's backlog catalog (some of which has never appeared on CD before) with enhanced sound and new liner notes. Emusica began sending the reissued albums to radio hosts known for their continued support of salsa music. Latin Lady DJ Margarita, who already had been receiving the reissued / remastered albums, contacted El Caobo and other radio hosts friends of hers, and put them in touch with Emusica. As a result, in 2007, Emusica began sending reissued / remastered albums to El Caobo as well. In 2009, Fania's assets were bought from Emusica by an investment firm called Signal Equity Partners, operating under the name Codigo Group. One of the owners of Codigo Group, who previously had been an employee of Emusica and knew very well of El Caobo's previous work with the Fania catalogue, contacted him. El Caobo had to travel to New York for a week to spin at The Taj, SOBs, Iguana Cafe and The Imperial and while there met with the owner of Codigo Group and the two initiated a conversation that would ultimately lead to El Caobo becoming Fania Records' only official SALSA DJ! In a post on Fania Records' official website, El Caobo was referred to as "one of the best salsa djs in the world." Indeed, having the entire Fania catalog at his disposal, along with his connections to multiple contemporary record labels, both commercial and independent, puts El Caobo at the pinnacle of this trade. Always keeping up with musical trends, he also is able to shine with bachata, kizomba, merengue, cumbia, reggaetón to list the tip of the iceberg. Click the top red button below to hear one of El Caobo's salsa mixes on Fania Records' official soundcloud page. Click the bottom red button below to join the group for El Caobo's radio show.